Winnebago County Health Department offers a variety of services including family planning (including pregnancy testing), teen pregnancy prevention, teen support programs, family case management, home visiting program coordination/referal, high risk prenatal/infant program,WIC, breastfeeding support, car seat safety, immunizations, lead screening and environmental assessment, tobacco cessation, STD testing, HIV/STD case management, well/septic/restaurant inspection, birth/death records, emergency preparedness, and refugee health screening, examinations, and referrals. Medicaid accepted as well as sliding scale fees. Varies by program. Hours vary by program. Catholic Charities provides a crisis pregnancy program and hotline, an Adolescent Outreach parenting/pregnancy program for Boone County residents, adoption services, parenting education, professional counseling and casework services for individuals and families experiencing social, emotional and interpersonal problems, school counseling for children in Catholic grade schools, outreach and emergency services, and immigration/refugee resettlement services including a bilingual outreach. The Teen Family Support program serves English speaking first-time pregnant and parenting mothers who reside in Winnebago County. Teen mothers must be 19 years of age or younger and pregnant or parenting a baby under 2 weeks old at the time of referral. Services provided include; home visitation, doula support, prenatal group, parenting group, and infant mental health counseling services. Our services promote healthy and stable families through the development of strong parent/child relationships and increased parenting skills. La Voz Latina is a non-profit resource center serving Latino clients of all ages. 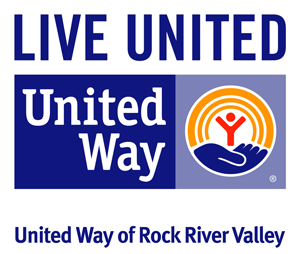 Offers multiple services/programs including: a home visit program for pregnant Latina teens (call La Voz directly in Boone County, WCHD in Winnebago); prenatal and parenting classes; afterschool tutoring and mentor programs; family support services; bilingual parent/child literacy classes; English as a second language classes; adult education & job placement classes including consumer education workshops, small business classes, and employment workshops in partnership with area businesses and institution; scholarships; community development programs; orientation/advocacy/assistance for immigrants/refugees including applicable public benefits; citizenship classes; medical and legal translation; interpretation; information and referral assistance; and Spanish classes for professionals. Most services are provides at no charge. Lydia Home Association offers “Safe Families for Children” which assists families during times of crisis such as unemployment, eviction or homelessness, family medical crisis, pregnant teens, post partum depression, etc., preventing the need for children to be placed in foster care by offering temporary placement. 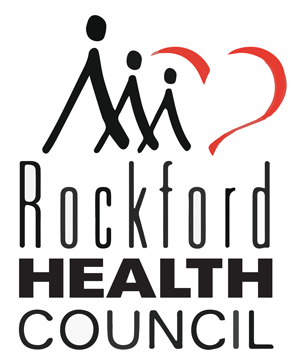 Also offers LYDIA’s Residential Treatment Program for children and adolescents with severe behavioral problems, provides for counseling services, and has LYDIA Urban Academy in Rockford. MELD provides programs for young mothers and fathers (through 21 years of age) and their children through our MELD Moms & MELD Dads parenting and support groups. The groups meet weekly at local churches and in local high schools. Volunteers provide childcare and healthy snacks to ensure that these families are able to take advantage of our services. Families come together to discuss parenting issues and to share ideas with each other. Life skills, job skills training, GED tutoring and assistance in completing education, career planning and guidance, pre-employment workshops, and employment opportunities and job placement services provided in addition to parenting information and support/resources services. Also provides Transitional Living Program and an emergency shelter known as Trinity House (see separate entries).